Too busy to create eye-catching Google Slides templates? Are your students asking a MILLION questions when they walk into the classroom? 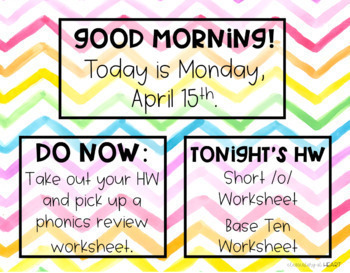 Brighten your room every day with these 12 different rainbow-themed editable GOOGLE SLIDES templates that you can use to display morning work or Do Now instructions. Just insert a text box and VIOLA! There are 3 rainbow themes, and 4 options to choose from each theme. Teachers are comfortable working with technology and Google Slides. 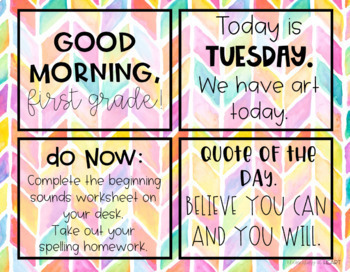 Teachers who want to display their Morning Work in an organized way. Emoji Themed Editable Teacher Templates! 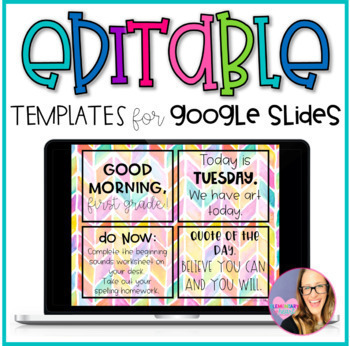 Meet the Teacher Editable Templates! Meet the Teacher Editable Templates- Black and White Theme! Click here for BTS MEGA BUNDLE!